David Azizi has handled many cases involving negligence by MTA bus drivers. For example, one case involved a disputed bus vs pedestrian accident, and David’s client underwent an amputation of his leg due to the severity of the accident. The victim claimed he had a green crosswalk sign and he had the right to proceed through the crosswalk. The bus driver, who tried to beat the light and ended up crashing into him, denied the pedestrian’s testimony. However, David proved that the bus driver was not telling the truth and the pedestrian was awarded a sizable settlement. While each case is different the methods of proving negligence remain the same. Without proof, no case would have a favorable outcome. Witness testimony is an essential part of any case. Documenting it early is best since witness memory can fade with time. In fact, one witness’s memory and hence testimony might differ from another. The testimony might also change with time. David uses interrogatories and depositions, to document witness accounts. He does this as quickly as possible after the accident before memory fades. Los Angeles amputation attorney David Azizi discusses the essential elements of amputation legal action in this audio episode. Listen to the podcast below. Click here for full transcription of episode. MTA bus accidents are quite common in the City of Los Angeles as the bus schedule never stops. Even on holiday weekends like Memorial Day, Labor Day and July 4th bus drivers will be working. Unfortunately, some of these bus drivers are trying to get as many hours as they can as they jump into longer shifts. While the money may be very good they don’t realize just how tired they can get after working 10 to 14 hour shifts several times a week. 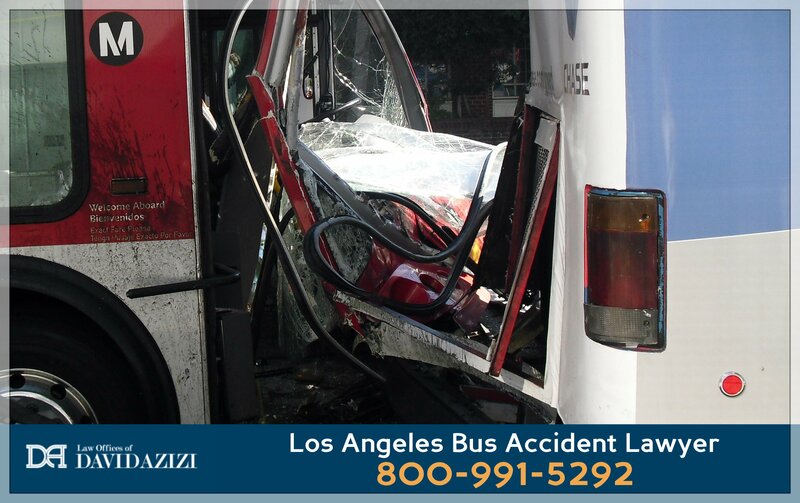 Los Angeles bus accident lawyer David Azizi has a 98 percent success rate winning cases. In the one described above, the verdict was in excess of $1 million. While the compensation varies from case to case, you can be sure David will fight to get maximum compensation for his clients. Call his office at (800) 991-5292 for a free consultation. We are here 24/7 and there is never a fee until you win.